This libros de las calaveras is dedicated to poems, stories and phrases for loved ones who have passed on. 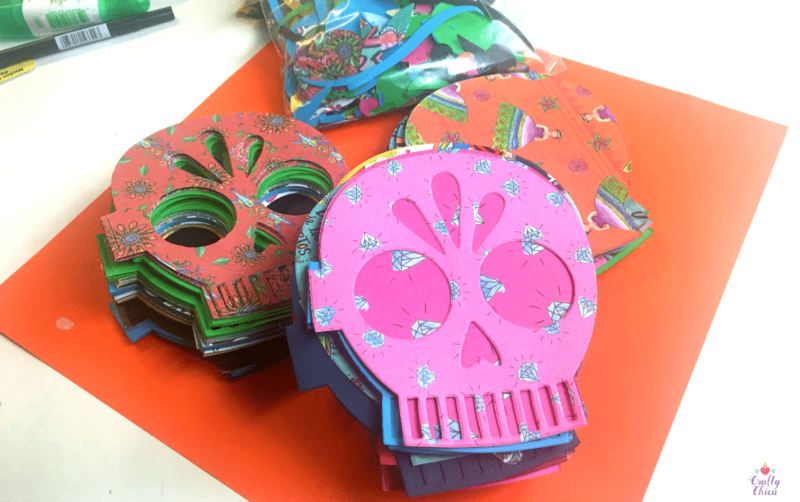 When you think of the term “calavera” – a skull comes to mind. But actually, there is another meaning and use: the written word. 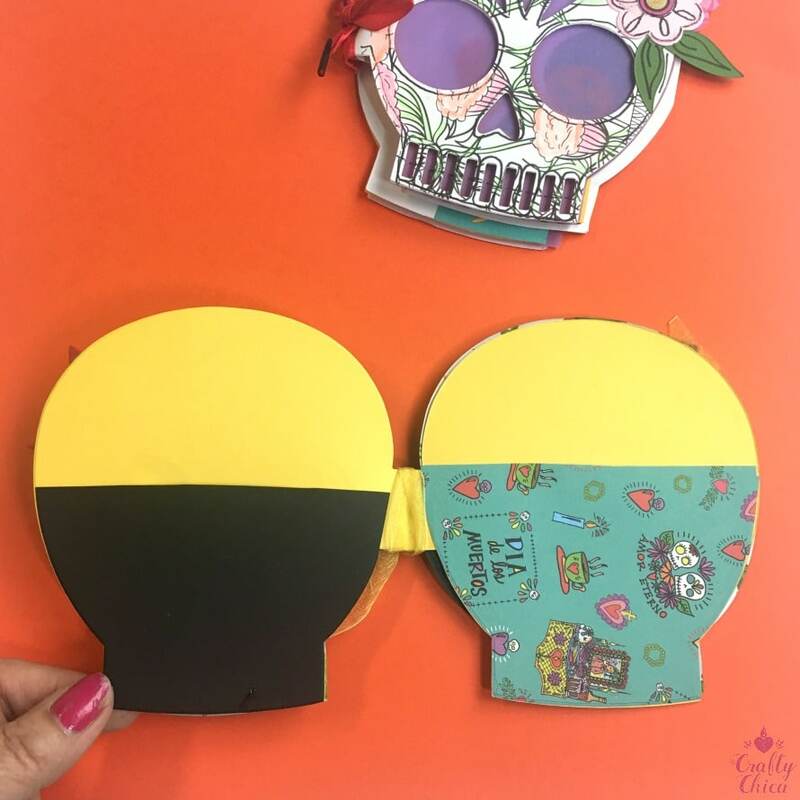 Inspired by Jose Posada (1851–1913), an artist, satirist, and political illustrator who combined Dia de Los Muertos drawings with messages, the tradition still stands today. Many artists incorporate humorous and serious sayings with their muertos artwork. You can read more about him here. 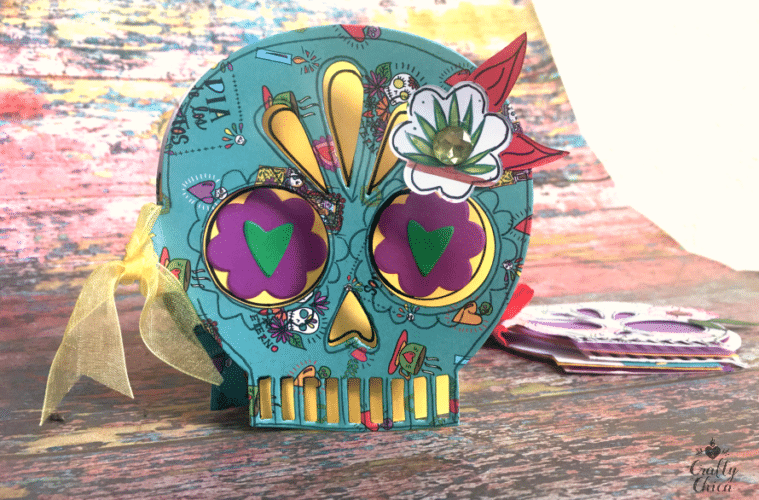 In addition, it can go to a more personal level where you can write a poem or song to a loved one whom you are honoring for Dia de Los Muertos. Kinda like a speech at a wedding or funeral. Something bright and uplifting to celebrate their life! I made this book to hold notes, pictures, and calaveras! You can keep it out all year and add to it, keep it in a bigger journal, or just for Dia. 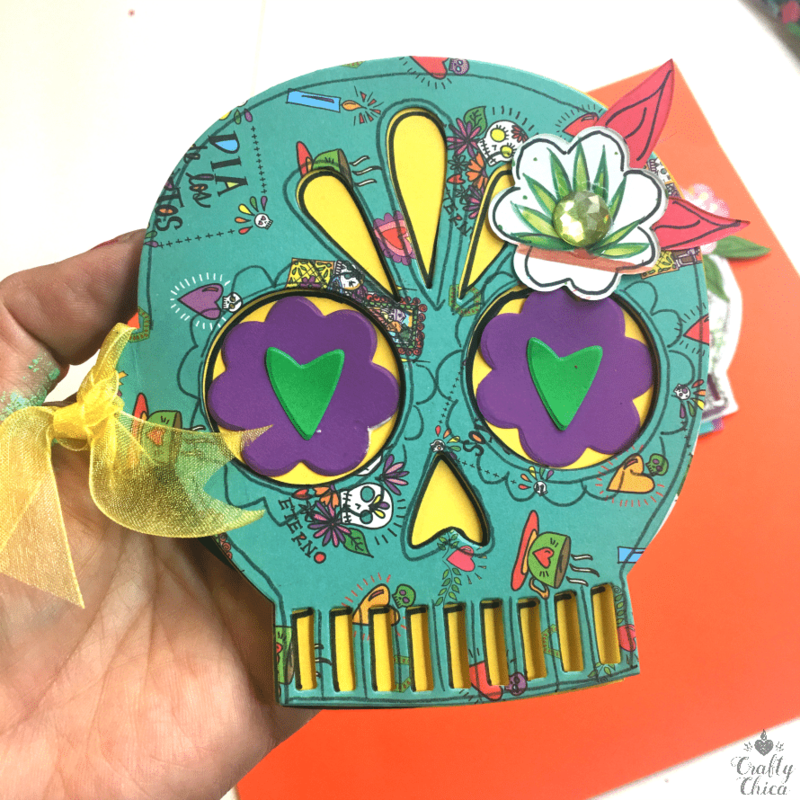 I used my Crafty Chica Sizzix XL Skull Book die – but you can just draw the shape of a skull and do your own version! Gems, whatever other embellishments you want! 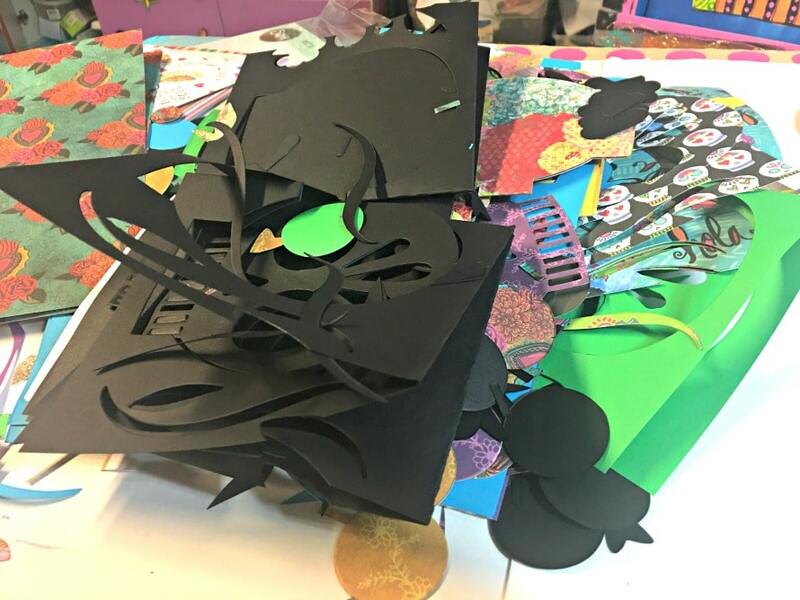 I plan to do a free make and take on Saturday at my studio so last night I stayed up and cut hundreds of book pages! Here’s some of the wreckage! I cut several versions. First I cut long pieces of cardstock to cover the entire die, this gave me a front and back book cover. Then I fold the strip of paper and placed the folded side on the center fold line of the die, so that gave me pages either with front and back of a skull face or front and back of a sold skull. It’s good to cut three versions like this because then you can use the different pages as backgrounds, or to cut for pockets, etc. 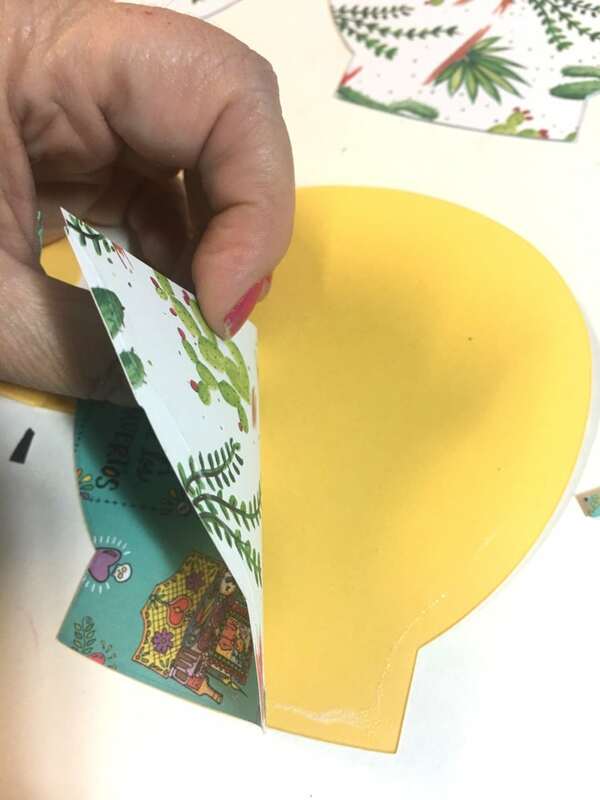 Add a light line of glue around the edge of the pocket piece and press in place. Once you have your pages lined up the way you want, staple the spine and tie a ribbon. you can even hang a charm from there too! Use other embellishments from the die – or anything you have on hand to dress up your book. Use pens to outline and add more texture. Use the pages to add photos, love notes, poems, dedications and so on! 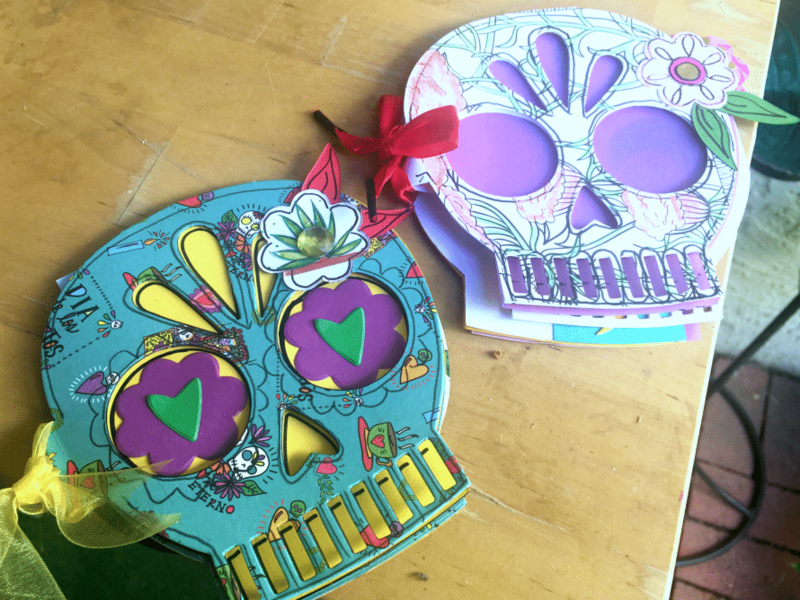 Adding calaveras to your muertos celebration will add a deeper level of meaning. I love it because it pushes us beyond the face paint and crafts to express creativity from our heart through our pens. In essence, the written word can be just as powerful and beautiful as any craft. you can read them at a public event or keep them private. I have several letters and poems I’ve written to my grandparents and dad. It makes me sob as I write them, but when I’m done I feel so much closer to them like I really made a connection between my world and their world. It amkes me happy to place them at my ofrenda for them. Whew, okay, back to crafting!! Here are some other things made with this die! Next ArticlePan Dulce & Piñata Craft Workshop!